The Energy Transition and the digitisation of manufacturing, also known as Industry 4.0, offer exciting new opportunities for Energy Managers to unlock value today. Energy Managers increasingly understand the potential of the flexible power that is hidden within industrial processes. REstore’s FlexTreo™ solution empowers Energy Managers to unlock this potential by using cloud-connectivity and big data-driven energy intelligence that is at the heart of Industry 4.0. FlexTreo™ goes beyond energy reporting and invoice management, which are the classic features of Energy Intelligence Software. Our solution truly bridges the gap between Energy Managers and Plant Managers. FlexTreo™ uses real-time energy market data to capture real-time opportunities. Our application suite steers flexible machines in factories while always respecting the industrial boundary conditions imposed by Plant Managers. With FlexTreo™, for the first time ever, Energy Managers get a 360° solution and a holistic, real-time overview of all energy market opportunities, which empowers them to take intelligent decisions ‘from their desk’. FlexTreo™ maximises energy cost savings through real-time demand side management and day-ahead planning. Unlock your value today. Get FlexTreo™ now. FlexTreo™ provides a real-time overview of power and market prices, shows day-ahead and imbalance price forecasts on every level, from group level, plant level, division level, all the way down to individual asset level. FlexTreo™ automatically triggers market opportunities using flexible power in real-time, while respecting industrial boundary conditions and opportunity costs. 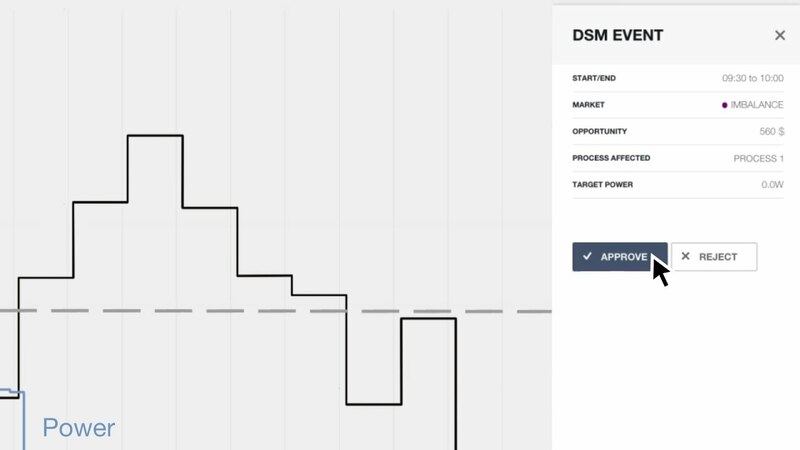 These DSM events can stem from opportunities to save money in the imbalance market or wholesale market, and avoid peak tariff charges as well as generating new revenue streams through the reserve and capacity markets. FlexTreo™ will optimise your day-ahead planning, taking into account power cost forecasts and without impacting production targets. FlexTreo™ provides a real-time overview of the availability of each flexible load and its corresponding opportunity cost. This way, FlexTreo™ captures market opportunities according to a flexibility merit order: only activating loads that make financial sense. FlexTreo™ drives your energy management agenda thanks to a real-time view of power costs and DSM benefits. FlexTreo™ provides the analytics solution needed to perform in-depth root-cause analysis and to assess the main cost and benefit drivers. FlexTreo™ allows you to add, configure, and manage your flexible loads, effectively bridging the gap between the Energy Manager and Plant Management. FlexTreoTM automatically captures market opportunities, activating flexible power and respecting industrial boundary conditions, while maximising DSM revenues and lowering power costs. FlexTreoTMempowers you to unlock the value within your factory. FlexTreoTM offers you a real-time view of everything that matters: a dashboard allowing you to feel the pulse of real-time market opportunities, power costs at every level in the factory, drivers of your benefits and costs, and so much more. There is no need for any other dashboard, FlexTreoTM has it all. FlexTreoTM enables you to configure the industrial boundary conditions and opportunity costs of the various flexible processes in a plug-and-play manner. FlexTreoTM protects the production process at all times while maximising DSM benefits. The energy market is going through a rapid transition, with sustainability and digitalisation at the forefront of market changes. The shift from an old paradigm of “polluting generation plants tracking power consumption” towards a new paradigm of “power consumers tracking renewable energy generation”. FlexTreoTM allows you to consume power when it is abundantly available on the grid, e.g. with high wind and solar generation, and to consume less when there is a shortage. In this way, you help facilitate the future growth of renewable energy, while benefiting immediately.